After the first Star Wars: The Force Awakens trailer blew a hole in the Internet last week, one of the biggest mysteries centered on exactly who was providing that creepy voiceover, going on about an awakening of both the Dark Side and the Light. Many thought the voice sounded like Benedict Cumberbatch, who had obviously worked with Force Awakens director J.J. Abrams before. But HitFix soon reported that the voice instead belonged to mo-cap master Andy Serkis, and Serkis soon confirmed it was indeed him. Scuttlebutt said that he would have a small but important role in Force Awakens, but now a new rumor suggests we may get twice as much Serkis as we were expecting. Jedi News is citing unidentified sources in claiming that Serkis won’t have one role in the upcoming Star Wars films — he’ll have two. Now, if you know anything about the guy, that shouldn’t actually be that surprising. Most of the roles Serkis plays, you never actually see him onscreen. His mastery of motion-capture performances has breathed life into King King, Gollum from The Lord of the Rings, and Caesar from the rebooted Planet of the Apes movies. It seemed inevitable that he’d be doing some sort of performance capture for Star Wars, since hiring him otherwise would be like hiring Michael Jordan to teach a basket-weaving class. And sure enough, Jedi News says Serkis will be playing will be playing one of a “group of unbelievably athletic and acrobatic motion capture characters.” That sounds like Force users to me, as they’ve certainly got a tendency to leap around all over the place, usually while swinging laser swords, which is probably partly why so many people lose hands in the Star Wars universe. Also helping bring this “athletic” group to life will be parkour expect Pip Anderson. So could this athletic chap be the one talking about the Force in the trailer? Well, he certainly sounds menacing, and menacing could mean Sith. Or the rumored Inquisitors/Jedi Hunters. Have we mentioned there are a lot of damn rumors about this movie? 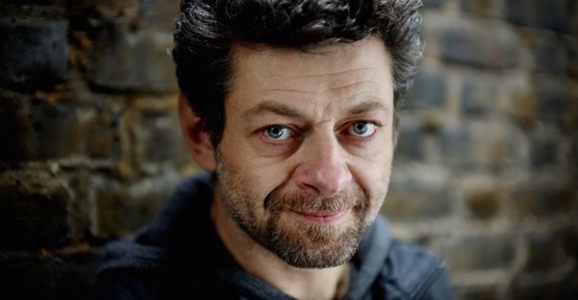 The second alleged role for Serkis sounds like the one we’re likely to see early on in Force Awakens. Jedi News says he will be playing a “pivotal role in the first act story arc that entwines with Daisy Ridley’s backstory,” and which “may have more to it than it seems in the first instance.” While little is confirmed about Ridley’s character, she’s rumored to be Han and Leia’s daughter, and possibly named “Kira.” Furthermore, she supposedly lives on the desert world shown in the trailer — probably Tatooine but you never know — where she’s living inside a toppled AT-AT walker and selling junk. Which is allegedly how she comes into contact with the alleged severed robotic hand and alleged lightsaber that allegedly kick the movie’s story into gear. Allegedly. Star Wars: The Force Awakens is due in theaters on December 18, 2015. I still say he would be excellent (non motion capture) as the young cloned Palpatine. I mean look at his face and then look at McDiarmid in the prequels as Senator/Chancellor.